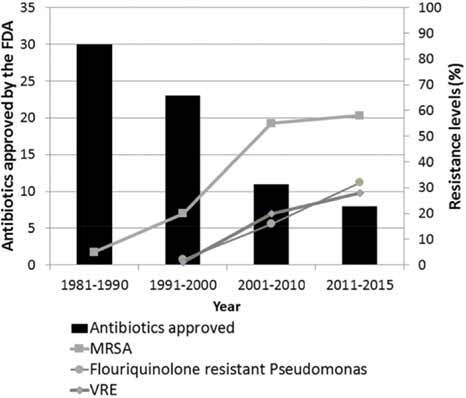 The increasing rates of resistance among bacteria and to a lesser extent fungi have resulted in an urgent need to find new molecules that hold therapeutic promise against multidrug-resistant strains. Antimicrobial peptides have proven very effective against a variety of multidrug-resistant bacteria. Additionally, the low levels of resistance reported towards these molecules are an attractive feature for antimicrobial drug development. Here we summarise information on diverse peptide libraries used to discover or to optimize antimicrobial peptides. Chemical synthesized peptide libraries, for example split and mix method, tea bag method, multi-pin method and cellulose spot method are discussed. In addition biological peptide library screening methods are summarized, like phage display, bacterial display, mRNA-display and ribosomal display. A few examples are given for small peptide libraries, which almost exclusively follow a rational design of peptides of interest rather than a combinatorial approach. Keywords: Antimicrobials, Antimicrobial peptides, Resistance, Multidrug- resistance, Peptide libraries, Spot synthesis. Keywords:Antimicrobials, Antimicrobial peptides, Resistance, Multidrug- resistance, Peptide libraries, Spot synthesis. Abstract:The increasing rates of resistance among bacteria and to a lesser extent fungi have resulted in an urgent need to find new molecules that hold therapeutic promise against multidrug-resistant strains. Antimicrobial peptides have proven very effective against a variety of multidrug-resistant bacteria. Additionally, the low levels of resistance reported towards these molecules are an attractive feature for antimicrobial drug development. Here we summarise information on diverse peptide libraries used to discover or to optimize antimicrobial peptides. Chemical synthesized peptide libraries, for example split and mix method, tea bag method, multi-pin method and cellulose spot method are discussed. In addition biological peptide library screening methods are summarized, like phage display, bacterial display, mRNA-display and ribosomal display. A few examples are given for small peptide libraries, which almost exclusively follow a rational design of peptides of interest rather than a combinatorial approach.